Special pack of 5 boxes of 454g (1 lb.) 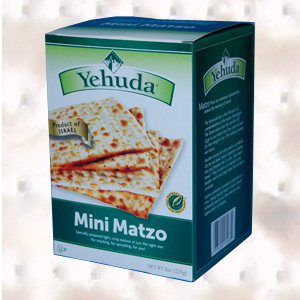 fresh matzos. These 5 lbs. 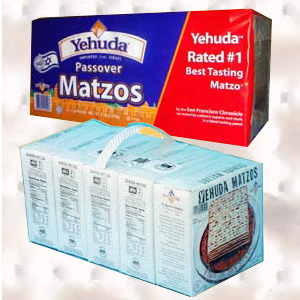 packs are packaged in a 6-unit carton. Wrapped box, containing one internal package of 454g (1 lb.) 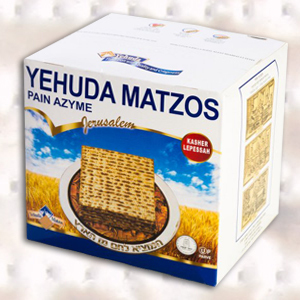 fresh matzos made of fine wheat flour and water only. The boxes are packaged in a 30-unit carton. Wrapped box, containing 2 internal packages of 500g (total of 1 kg /2.2 lb.) 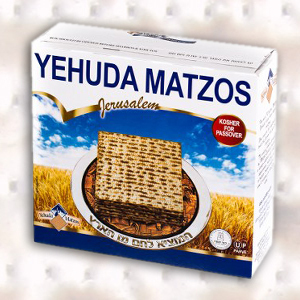 fresh matzos made of fine wheat flour and water only. The boxes are packaged in a 12-unit carton. Wrapped box, containing one internal package of 300g (10.5 oz.) 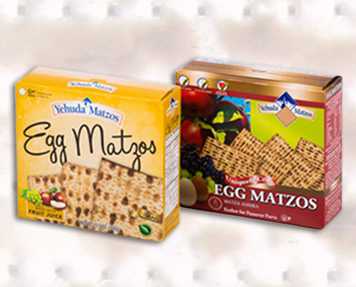 fresh matzos made of fine wheat flour, natural grape juice and eggs. The oxes are packaged in a 24-unit carton. 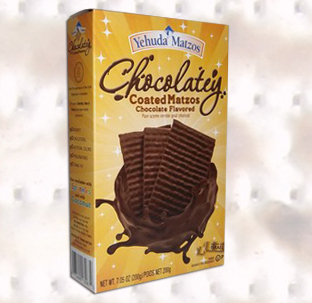 Wrapped box, containing one internal package of 200g (7 oz) fresh matzos (about 4 pieces) made of fine wheat flour and water, chocolate flavor coated. The boxes are packaged in a 12-unit carton. 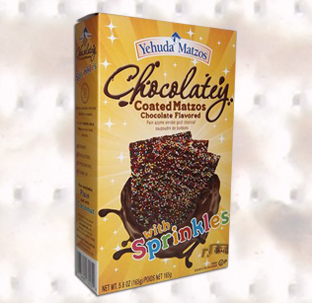 Wrapped box, containing one internal package of 165g (5.8 oz) fresh matzos (about 3 pieces) made of fine wheat flour and water, chocolate flavor coated with Sprinkles. The boxes are packaged in a 12-unit carton. 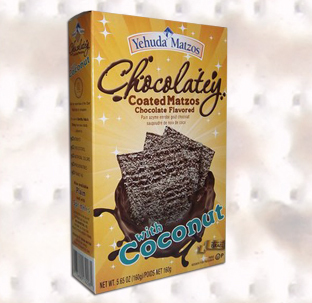 Wrapped box, containing one internal package of 160g (5.65 oz) fresh matzos (about 3 pieces) made of fine wheat flour and water, chocolate flavor coated with Coconut. The boxes are packaged in a 12-unit carton. 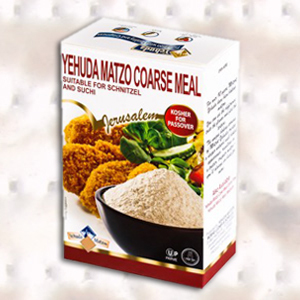 Box containing 375g or 500g Matzo Coarse Meal (Matzo flour) white and coarse, produced from fresh Matzos milling, made of fine wheat flour and water only. The product is suitable for coating schnitzel and sushi. The boxes come in a 12-unit carton. Bags (bulk packaging) of 25 lbs. 50 lbs. and 20 kg can also be supplied. 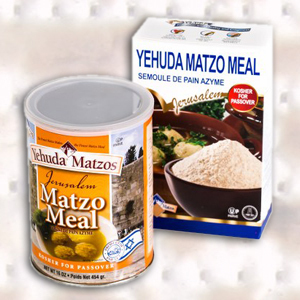 Box containing 375g or 500g Matzo Meal (Medium Matzo flour) produced from fresh Matzos milling, made of fine wheat flour and water only. 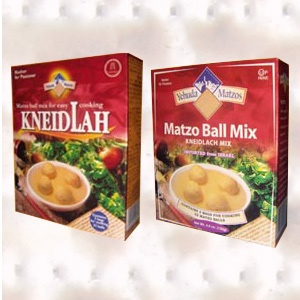 The product is suitable for kneidlah. The boxes come in a 24-unit carton. Bags (bulk packaging) of 25 lbs. 50 lbs. and 20 kg can also be supplied. The canister (454g / 1 lb.) is marketed only in the USA. 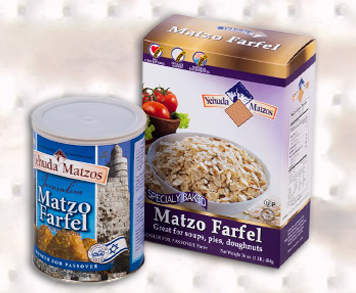 Box containing 375g or 500g Matzo Cake Meal (Matzo flour) white and extremely fine, produced from fresh Matzos milling, made of fine wheat flour and water only. 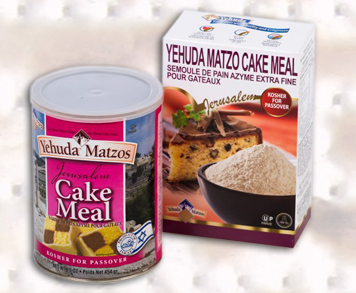 The product is suitable for baking Passover kosher cakes. The boxes come in a 12-unit carton. Bags (bulk packaging) of 30 lbs. 50 lbs. and 25 kg can also be supplied. Box containing 255g (9 oz.) 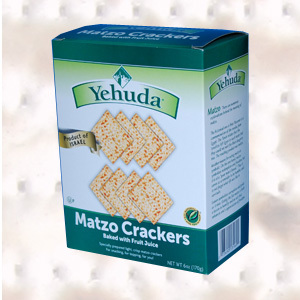 or 400g fresh matzo bits made of fine wheat flour and water only, specially baked. The product is great for serving with soups and stuffing, but also for trimmings, chocolate balls, doughnuts and others.The boxes are packaged in a 12-unit carton. The canister is marketed only in the USA.